While it was not a dog friendly race, Zeke deserved to wear the medal because he helped me train and he anxiously waited (slept on the couch) while I ran in cold, rain, & wind this morning. Got an almost 8 minute PR! 2:14:09. So, Zeke, what should we train for next??? ~ by manicivy on April 2, 2016. Awesome! 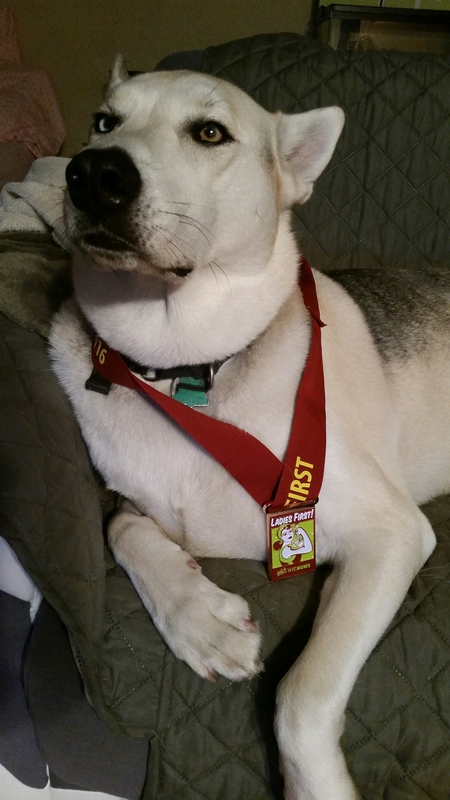 Now you need to find dog friendly race to train for!